Great gift from Tío Pepe!!! ¡¡¡Estupendo regalo de Tío Pepe!!! Conseguimos una de las botellas de Tío Pepe Conmemorativas Personalizadas de #Volvemos a Sol! y aquí estoy con Bonita, muy contentas las dos con este regalo. We won one of the Tio Pepe Conmemorative Personalized bottles from #We are back at Sol! 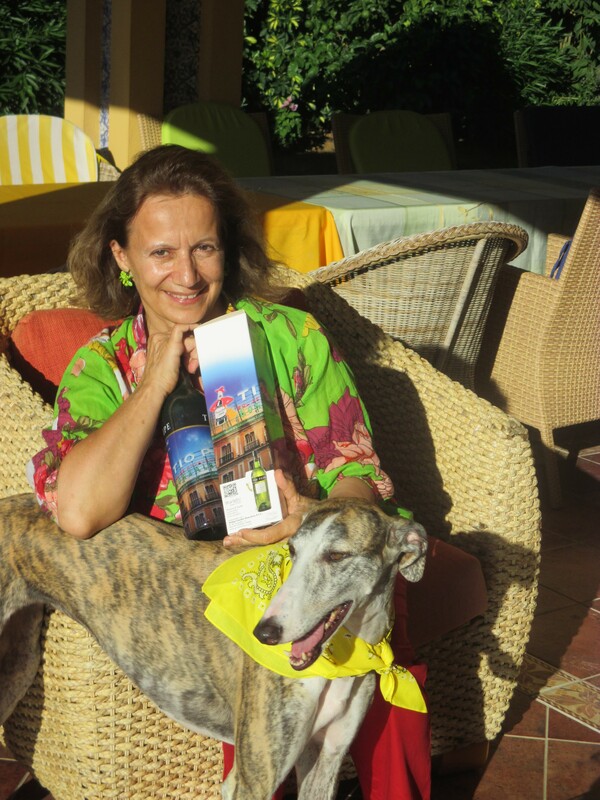 and here I am with Bonita, both of us very happy with the gift.